A simple tap. Just a simple tap on the home screen of the ARCHOS 43 internet tablet and youll be accessing all the major functions you need throughout the day wherever you are: HD video playback, HD camcorder, apps, emails and full Internet browsing. Its as simple as a tap. Experience a new form of design with the ARCHOS 43 internet tablet. 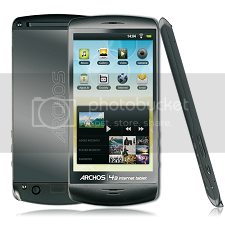 How can the ARCHOS 43 internet tablet be so slim and so light? Thanks to its patented technology with overmoulded stainless steel structure : 9 mm (0.4 inch) and only 130 g (4.6 oz) making it so easy to fit in your pocket. Its design is also about seduction. Its beautiful rounded lines make it a real delight for the eyes and its shape is designed to fit perfectly in your hand. But what would this magnificent object be without a brilliant screen? You can comfortably enjoy your movies or TV shows using the leg stand to prop it up on your lap or table. The large 4.3 touchscreen with g-sensor lets you experience a never-seen-before viewing quality. The 854 x 480 pixels high-resolution display is so sharp that you can fully enjoy your pictures smallest details. In addition to the HD resolution, the 16:9 format is just perfect for rendering all your videos in the best quality. Android is the application framework developed by Google for connected mobile devices, coming with a full pack of connected apps such as a web browser and email application. The 5 home screens of the Android user interface allow advanced personalization: icons can be placed, moved or erased with just a flick of a finger. Thanks to the home screen widgets, users can instantly access their favorite applications. 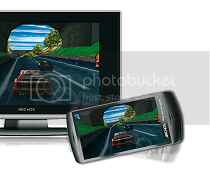 internet tablet displays every Android sceen on your wide screen TV*. You can then browse your files or the Internet from your couch. And guess how immersed in your 3D games you could be using the device as a steering-wheel! This is just staggering! Want to be connected anywhere? Just plug your mobile phone equipped with 3.5 G & Bluetooth technology, simply pair it up to your ARCHOS 43 internet tablet via Bluetooth or even via USB cable. This will give you easy access to Internet directly on your device anytime and anywhere. Theres no need to pay an extra fee when you already have a data service plan***. 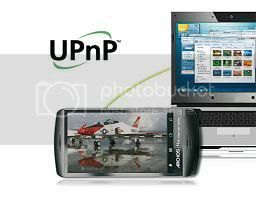 The ARCHOS 43 internet tablet has Samba and UPnP protocols: this means that you play your movies, videos, and photos on your ARCHOS, but these files are really located on your computer in another room. You dont need to store everything on your ARCHOS to enjoy viewing it on your ARCHOS! Your files fly through the air over WiFi. 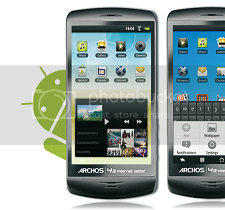 The ARCHOS 43 internet tablet is the small and convenient portable computer that youve always dreamed about. * Mini HDMI / HDMI cable sold separately. *** The function of relaying your internet connection may not be authorized by your mobile phone operator or may require a special data plan option. Please refer to your contract. 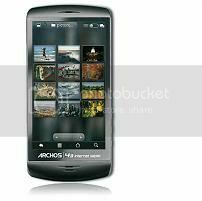 The internet tablets feature music, video and photo applications, developed by ARCHOS, that enrich the user experience with smooth browsing through the album covers and with widgets added to the home screen to give instant access and control to media. These unique Android applications allow users to amplify their digital experience. 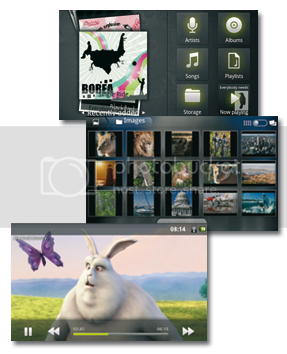 One of these functions, 3D album cover application, allows you to glide through your music by album covers. You can also make your own music playlists or browse your songs and music by favorites, recently played or recently added. Because you want to enjoy your videos and TV shows without re-encoding them with complicated software, ARCHOS makes your life easier by supporting audio and video formats beyond the standard ones of Android. It can even display subtitles and alternate audio tracks, all you have to do is drag, drop, and play! 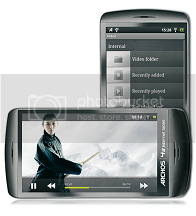 ARCHOS, the recognized expert in portable video devices offers you yet again the latest innovations in terms of video playback. 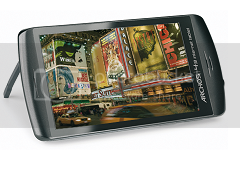 Benefit from an unequalled comfort of view on a hand held device with the large and sharp 4.3 touchscreen. With the industrys widest range of supported video formats, youll be sure to enjoy all your movies or TV shows, even those in HD quality*. Also, its simple to share your movies with your friends or family on your home TV in HD quality thanks to the built-in HDMI output connector (HDMI cable in option). With the ARCHOS 43 internet tablet, whether youre indoors or outdoors, you can film or take pictures of your friends or family at any time in HD quality (max. video resolution 1280 x 720 pixel). Once youve got your photos and videos, you can create a slideshow with the Photoframe application or watch your videos directly on the device. Better yet, upload your videos to Youtube or Facebook to show them to the world. The ARCHOS 43 internet tablet has a new music application adding 3D cover animation support and the ability to add a mini music widget to the home screen, in order to control your music at any time. 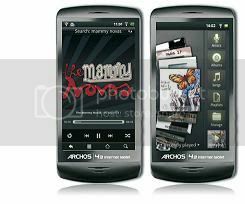 And as it is an ARCHOS music player, the ARCHOS 43 internet tablet is able to play all the music formats youll need to keep your digital music experience as simple as it should be. Browse through your photos with a simple flick of your finger or play a slideshow of your last vacation with music and transition effects. You can even display the pictures that your friends uploaded to Facebook or other photo sharing websites. The high resolution screen perfectly reproduces each picture in such detail that you can easily zoom in to see the tiniest of details, there's no limit. The user can easily connect accessories to the ARCHOS 43 internet tablet. By connecting a USB keyboard or Bluetooth, the tablet turns into a real PC, ideal for working with office files. Thanks to the USB host, there is nothing easier than transfering photos or files directly from a mass storage device directly to the device. 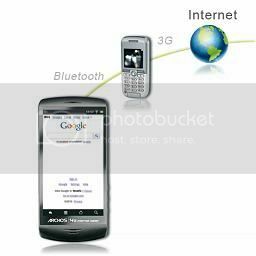 Cameras, USB keys and USB hard drives are easily accessible with the ARCHOS 43 internet tablet. Want to work on a larger screen? The ARCHOS 43 internet tablet can be connected a computer screen very easily via the HDMI port. Now you can check your email, edit your documents and practice your presentation on a computer screen, anywhere you go. 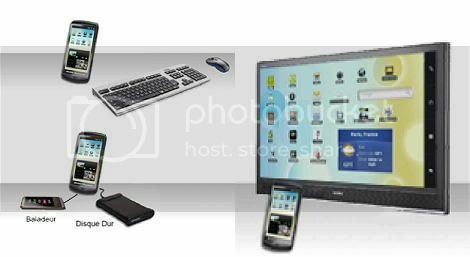 By connecting the tablet to WiFi, the user will be able to do everything that he used to do with a PC at home, but on the go. With Flash 10**, users can surf the real Internet and access to all their favorite websites. With a high resolution display (854 x 480) combined with a 1GHz ultra-powerful high speed processor, the ARCHOS 43 internet tablet can surf the web like never before. This powerful tablet uses the Android browser to make browsing the web easy and fun with a very intuitive user interface. For example, if you want to zoom in on the news just press the piece of text you want and the display will be automatically resized to the paragraph you want to read. The user can also easily check e-mails at any time with the Android email client. This application gives users the ability to manage multiple email accounts (Gmail, Hotmail, etc..) directly on their ARCHOS 43 internet tablet. Just like a PC, the ARCHOS 43 internet tablet can be freely programmed in alternative ways. This gives developers programming options in addition to the applications that can be created for the Android platform. To have total control of your Internet Tablet, ARCHOS has opened up this device, thus allowing creative minds to program their own tablet, or create what could be the tablet of the future. Quick Start Guide (QSG), legal and safety notice.